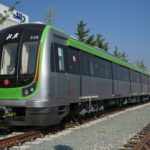 "The Implications of the Federal Ban on Chinese Railcars" concludes that until the federal government better understands the potential national security risks of using Chinese railcars in American transit systems, a one-year appropriations ban is more appropriate than a permanent policy change. 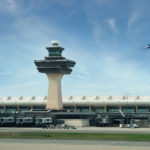 This report reviews the policies that govern airport privatization in the United States, recent history in domestic case studies, and the implications going forward. 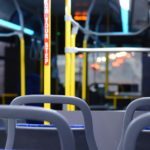 Eno Brief: Taxing New Mobility Services: What's Right? What's Next? Today, seven cities and 12 states have some type of fee or tax on TNC trips. As more states and cities consider taxes on TNC services, policymakers should be cautious and thoughtful about how their decisions affect transportation behavior. 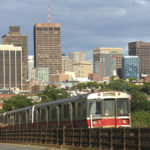 This study examines rail maintenance program needs and practices through dozens of interviews with public and private stakeholders and experts around the country. 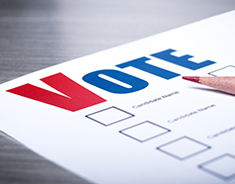 The consensus was that asset management practices in the United States are inadequate to meet today’s maintenance challenges. 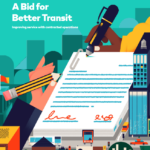 The report examines how and under what circumstances public transit agencies can contract bus or rail operations to private providers in order to boost service for riders while simultaneously preserving essential labor protections. Jet fuel prices have dropped significantly. Why haven’t ticket prices? Eno Aviation Insights: Is air travel becoming pricier for travelers? Eno Aviation Insights, aims to illustrate where the domestic air travel industry has been and where it is headed from an independent, objective perspective. The goal is not only look at system-wide averages, but also to try and discern what is happening in individual markets across the United States. 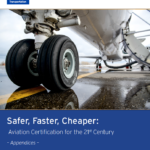 This document offers a more in-depth analysis on two areas that are addressed in the full report Safer, Faster, Cheaper: Aviation Certification for the 21st Century. 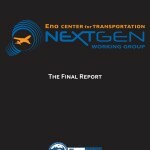 The Eno Center for Transportation Aviation Working Group brought together key stakeholders to study this issue and propose pragmatic, innovative, policy solutions to improve the FAA’s certification processes while maintaining aviation’s impeccable safety record. 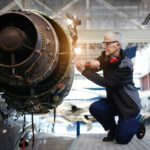 This report is the product of that effort and focuses on three areas of certification: Aviation products and their components, Air traffic control and air traffic controllers, and Repair stations. 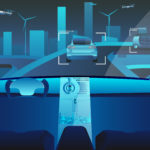 Through a series of panel discussions, workshops, webinars, and consultation with Eno’s Digital Cities Advisory Board, Eno crafted a multifaceted set of recommendations that address the most pressing policy issues for AVs. If applied and executed properly, these recommendations will help guide this technology towards safe, efficient, and sustainable deployment. 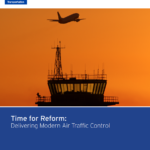 Between 2013 and 2015, the Eno Center for Transportation brought together key stakeholders to understand how best to hasten modernization of the nation’s air traffic control (ATC) system. 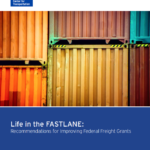 This paper examines the first round of FASTLANE projects and discusses several options for Congress and the Administration to improve upon the program. Tampa Bay, Florida is home to nearly 3 million residents and is the 18th largest metro region in the country, bigger than Denver, Charlotte, or Orlando. It ranks 22nd in terms of number of jobs, and makes up 17 percent of Florida’s total gross domestic product. 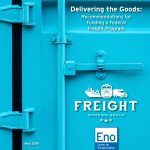 Delivering the Goods focuses on finding a funding source for expanding and improving the national freight program established by the Fixing America's Surface Transportation (FAST) Act. While this was a crucial step forward, the United States still needs to expand the size and enhance the multimodal nature of the program. 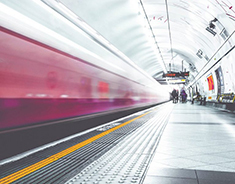 Eno’s mission is to seek continuous improvement in transportation and its public and private leadership in order to increase the system’s mobility, safety, and sustainability. 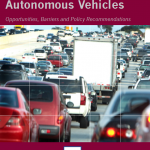 This paper seeks to provide an overview of technology advances in transportation, focusing on those likely to have important implications for transportation policy. The 2014 Annual Progress Report details the numerous initiatives Eno pursued in the last 12 months. Eno’s NextGen Working Group brought together academics, former government officials, unions, and industry leaders representing airlines, airports, manufacturers, private operators, pilots, controllers, and the business community to discuss the future of U.S. air traffic control (ATC). 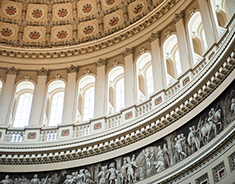 This final report puts forth specific funding and operational recommendations that Congress can authorize when current law expires at the of the fiscal year this September. 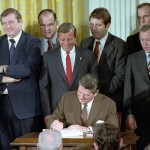 Remembered as a triumph of bipartisanship, the reality of the 1982 gas tax increase was a bit messier. 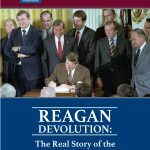 On May 27, 2015, the Eno Center for Transportation released a groundbreaking report on the 1982 Gas Tax Increase (Passed by then President Ronald Reagan). Eno's Senior Fellow, Jeff Davis, gave the following presentation on the report. 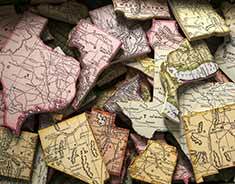 An evaluation of the forces behind the U.S. Highway Trust Fund (HTF), including an examination of peer countries and their lessons on providing long-term sustainable funding. 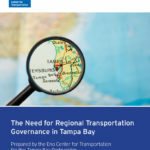 State and federal funding for transportation projects is stagnant, yet Maximizing the Value of Investment Using Life Cycle Cost Analysis finds that currently most of the limited transportation funding dollars is invested without considering long-term operating costs. 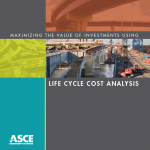 To improve decision making, the report gives nine policy recommendations on how to implement Life Cycle Cost Analysis, a process which ensures total costs related to an asset— including the cost to operate the infrastructure in the future—is accounted for. 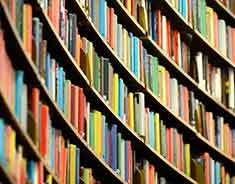 Eno created its Public Private Partnership (P3) working group in 2012 to provide a better understanding of limited availability and the use of P3s as a potential project delivery method. 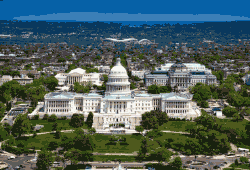 In this report, the group identified patterns in the challenges that localities have faced when using P3s and developed recommendations for federal and local policy to enable greater use of P3s as an infrastructure delivery mechanism in the future. 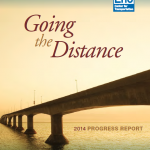 The 2013 Annual Progress Report details the numerous initiatives Eno pursued in the last 12 months. 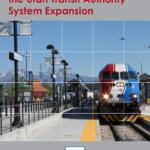 The paper details UTA’s journey from a single-mode mass transit bus operation to a system with more than 140 miles of new light rail and commuter rail in operation along with other improvements to the existing bus network. Addressing Future Capacity Needs in the U.S. Aviation System explores the issue of system capacity in the airspace and at select hub airports and finds that the U.S. aviation network in its current state is unlikely to provide adequate capacity to accommodate projected growth in passengers over the next 20 years. 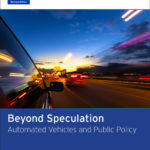 Authored by Daniel Fagnant, a Ph.D. candidate at the University of Texas at Austin, and Kara M. Kockelman, an engineering professor at the University of Texas at Austin, this second annual William P. Eno Research Paper focuses on the changes and benefits autonomous vehicles could bring to the nation’s transportation system. 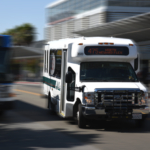 Evaluating Potential Performance Measures for Congestion and System is the result of a daylong meeting held on June 20, 3013, to discuss federal performance measures for highways spending. 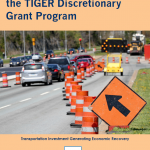 The Transportation Investment Generating Economic Recovery (TIGER) program was established as part of the American Recovery and Reinvestment Act of 2009 (also known as the ARRA or “stimulus bill”) to fund transportation infrastructure projects using a mode-neutral, merit-based approach. This report looks at key players involved in the creation and sustaining of the program and examines how the funds were distributed. 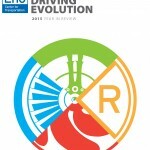 The 2012 Annual Progress Report details the numerous initiatives Eno pursued in the last 12 months. 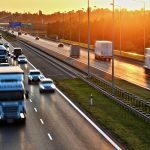 The Consequences of Reduced Federal Transportation Investment is a report co-authored by the Eno Center for Transportation and the Bipartisan Policy Center. 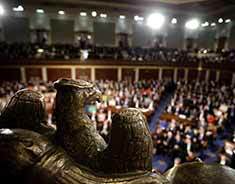 It outlines the foreseeable consequences of reductions in federal surface transportation funding. 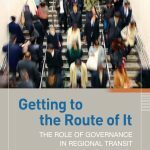 Better Use of Public Dollars: Economic Analysis in Transportation Decision Making is the first annual William P. Eno Research Paper. 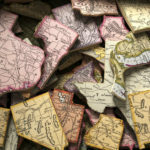 Authored by Texas A&M Graduate Nick Norboge, the paper focuses on the economic impacts of the transportation decision-making process. 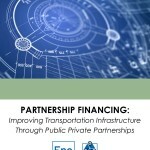 Transportation Investment as Part of a Deficit-Reduction Package summarizes the proceedings and conclusions from Eno's annual Policy Forum in November 2011 and expands the discussion of how transportation fits into the current fiscal debate. 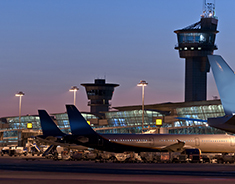 The Next Generation Air Transportation System (NextGen) represents a series of incremental policies, procedures, and technological changes to modernize the air traffic control (ATC) system into a more efficient, state-of-the-art satellite-based system. 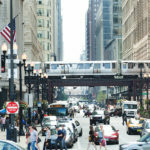 The modernization project at O’Hare International Airport in Chicago is an example of a modern transportation investment that is performing well. 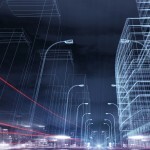 Applying the lessons from the OMP can help construct other large, important infrastructure projects in a timely and fiscally responsible manner.